petition: Immediately Repeal Britain's Animal Research "Secrecy" Laws! Immediately Repeal Britain's Animal Research "Secrecy" Laws! In the wake of reports of extreme animal suffering at the Imperial College of London, it is time for the UK government to repeal the blanket secrecy laws that allow this kind of animal abuse to occur behind closed doors. The red flags raised by this investigation apply to animal experiments happening all over the country. In April, the British Union for the Abolition of Vivisection (BUAV) went undercover at the college, and discovered such cruelty as rats being beheaded with a guillotine and having their necks broken after experiments. The university has already admitted that they need to immediately overhaul their animal practices, and calls have been made to shut down the program entirely. But the fundamental problem is the fact that abuse like this would not have been discovered had it not been for the undercover BUAV investigation. For more than 100 years, the public has been kept in the dark about animal experiments. There are fewer than 20 inspectors for the 4.1 million experiments going on in Britain. It is time to review the Section 24 "secrecy clause" that prevents the public from knowing details of what happens to animals during experiments and make sure that research labs are held accountable for the treatment of their animals. Please sign the petition today. 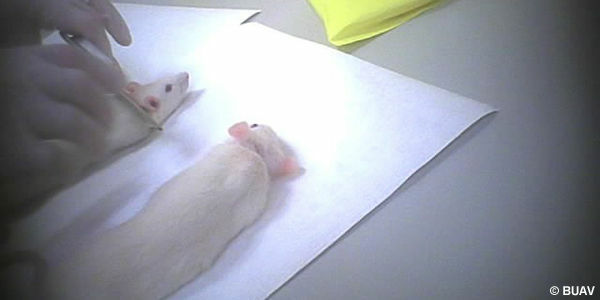 After the undercover investigation by BUAV revealed horrific treatment of lab animals at the Imperial College of London, many of us realized that the UK's reputation for excellent regulation is not being upheld. Laboratories all over the country are conducting experiments with animals, and there are fewer than 20 inspectors monitoring them. It is time to review the Section 24 "secrecy clause" and make sure that research labs are held accountable for their treatment of animals. I urge you to take immediate action to ensure the humane treatment of these animals and protect our reputation.